and Fun Activities for Kids! Bunny coloring pages are original and printable. These bunny images were designed, specifically, for this website. You won't find these free coloring sheets anywhere else! 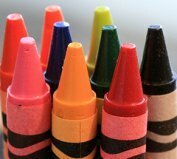 Use colored pencils, crayons, markers or paint to form your own artistic creation. This website is a fun, educational and informational place for kids and adults. So, I've dedicated an entire section just for free coloring sheets. Use them as party decorations, hang them around the house, give as gifts. Kids can be proud of their colorful creation(s)! LEFT CLICK to view. Then click OK. Print. You may want to cut and paste these bunny images too. Paste them to a colorful bag or basket for extra decoration. Bunny coloring pages are just some of the cool images on this website. Here, you'll find a large variety of printable, free coloring sheets! They're for visitors just like you! What age do bunnies leave their mother? Are wild bunnies the same as pet bunnies? Have you seen the "Tale of Peter Rabbit" by Beatrix Potter?